There are articles that always come out this time of year and that always make me pull my hair out. They’re the articles about going gluten-free for the New Year. Despite gluten-free eating’s seeming popularity, here are some reasons why you should think twice before making going gluten-free your New Year’s resolution. t In case you haven’t stepped into a gym lately, New Year’s resolutions are in full swing. I’ve read through a million articles on how I can improve my life in 2014 — articles about going on crazy diets or doing even crazier workout routines or doing intense workouts that make me quake in fear on my couch just thinking about them. However, the articles that make me pull my hair out are the ones about going gluten-free for the New Year. t I’ve found numerous examples from the New York Daily News, Examiner.com, The Seattle Times and Nation’s Restaurant News about 2014 being the year of gluten-free diets… once again. With the consistent popularity of books like Wheat Belly, Grain Brain and The Paleo Diet, gluten-free eating is still hot, even for nonceliacs or non-gluten-sensitive individuals. t As a necessary note before you read on, please don’t get upset about me being anti-gluten-free for those who aren’t celiac. I believe that you can and might have an issue with gluten, too! Celiac disease affects about 1 in 100 people, but gluten sensitivity affects many more people, and it isn’t as easily diagnosed as the former. However, I am anti-gluten-free for people who want to seek the latest fad diet trend for weight loss and slim down for bikini season. t Here are two reasons why I think you should think twice before going gluten-free this year. Gluten-free food is not health food! t Gluten-free foods (packaged food like bread, cookies, cake mixes etc.) are often more calorically dense than their gluten-filled counterparts. But simply subbing out your gluten-full bagel for a gluten-free bagel will not make you lose weight. I mean, that would be the best diet in the history of diets, wouldn’t it? However, it really is too good to be true. Thomas’ bagels (plain bagel, 95 grams, gluten-full) have 270 calories, 7 grams of sugar, 10 grams of protein and 2 grams of fat; while Udi’s bagels (plain bagel, 99 grams, gluten-free) have 290 calories, 5 grams of sugar, 7 grams of protein and 9 grams of fat. And I can tell you from experience that a gluten-full bagel has better taste and texture than a gluten-free one (although I am thankful I can even find safe bagels at a regular grocery store). A bagel is still a bagel — it’s still grains, and just because it’s called gluten-free doesn’t turn it into a head of cauliflower or an apple. A gluten-free cupcake is still a cupcake — and the same applies to cake, cookies and pasta. You need to be tested first! t Magazines and blogs nonchalantly advise readers to go gluten-free to lose the belly bloat or help tame a grumbly tummy. But celiac disease and gluten sensitivities are real medical issues that are not to be taken lightly. Before going gluten-free, you need to be tested. If you think you may have issues with gluten, you cannot be tested without having gluten in your system. Too many people go gluten-free just to “try it out,” and they never get a black-and-white answer to the question of whether their body really has an issue with gluten. If you don’t have a solid answer on celiac disease or gluten sensitivities, then you’ll never know just how careful you need to be when dining out, examining ingredient labels etc. If you miss out on a celiac disease diagnosis, then you might miss other autoimmune diseases that are often correlated with celiac disease. 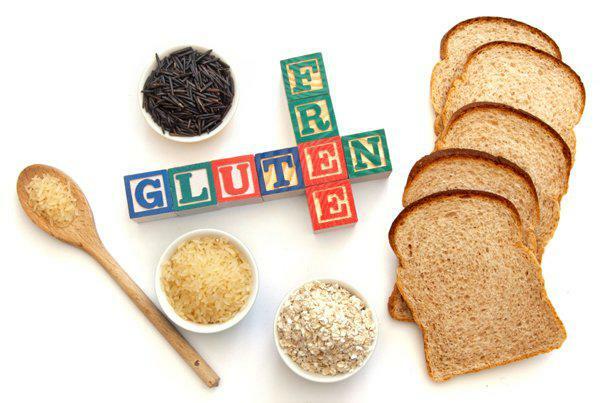 t The tests to determine whether you have an issue with gluten are blood tests, endoscopies and genetic tests. You need to work with a doctor who has experience in diagnosing celiac disease and/or gluten sensitivity. You can find more information on proper testing and finding a doctor near you on the website of the Celiac Disease Foundation. t If you do decide to go gluten-free in the New Year, please do so under the guidance of a medical professional who can help test you and provide you with the proper information. A gluten-free diet can also be a healthy and well-balanced diet, full of naturally gluten-free grains, meats, dairy, fruits and vegetables — along with an occasional cupcake!